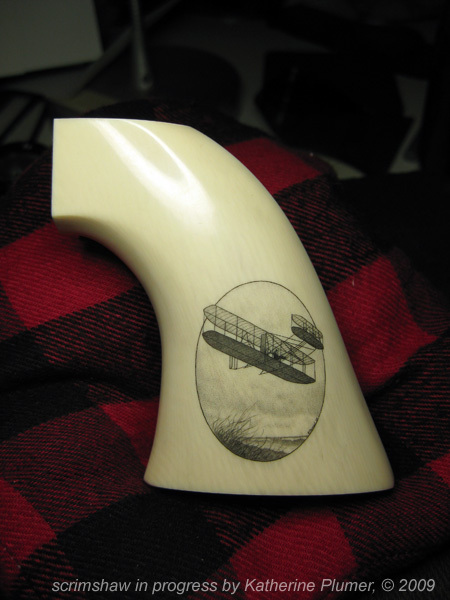 I am pretty sure this side of of the CCA grips is now finished with the Wright Flyer image. Sooo, tomorrow I'll start working on the other side, which features the Cape Hatteras Lighthouse (in it's original beach location). And of course I'll still be working on the knife. I'm ready to do the background, and need to figure out exactly HOW to do it!